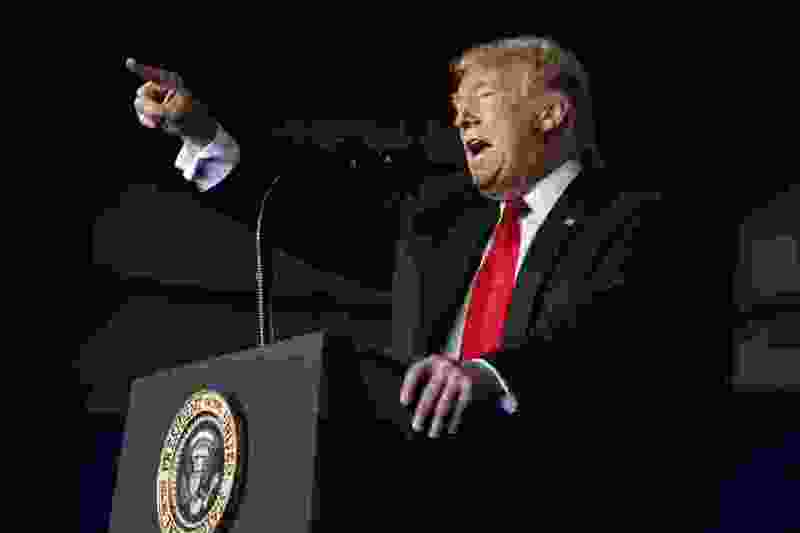 Once again, with his mistaken claim about his ability to end birthright citizenship with an executive order, President Donald Trump has waded into the miasma of xenophobia and racism aimed at excluding immigrants from the rights enjoyed by all Americans. The 14th Amendment to the Constitution has been interpreted since its inception to allow the right of citizenship to all people born on U.S. soil. Now, spurred by misleading claims that illegal immigrants, most of them from Mexico and Central America, are sneaking into the country only to have babies who can “anchor” them to the United States, Trump wants to abolish the protections the 14th Amendment provides to those born here. As a third-generation Japanese American, I am too familiar with the havoc caused by this kind of anti-immigrant fervor. If its most fervent adherents had gotten their way, my parents, the son and daughter of Japanese immigrants, would have been denied citizenship. While the circumstances now are different than when my grandparents moved to the United States in the first two decades of the 20th century, the same sentiments exist — xenophobia, economic competition and misplaced fears about disease and the inability to assimilate into overall American society. In the first half of the 20th century, Japanese immigrant farmers were denied the chance to buy their own land or gain access to profitable farmland. They often were forced to make their farms on marginal land close to factories, railroad tracks or electrical lines. They almost always turned those farms into success stories that incurred the jealousy of white farmers, who resented how Japanese immigrant farmers succeeded while they often did not. As I have learned while researching my upcoming book about my family’s experience before, during and after the Japanese American incarceration during World War II, these spurious claims have often been used against immigrant groups. Chinese immigrants who helped build the transcontinental railroad were targeted by the 1882 Chinese Exclusion Act, which prohibited their immigration to the United States and opened the door for Japanese immigrants, who were then banned from immigrating here by the 1924 immigration law. In both cases, the reasons for exclusion were based on bad science, such as the pernicious and discredited discipline of eugenics, and racism. Chinese and Japanese immigrants looked different from white Americans and were easier to target. But as I look at where my family has gone since my grandparents moved here, I see a quintessentially American story that would have been lost if we had been denied citizenship. My father has led the pharmaceutical sciences departments at two major American universities, developed drugs that helped millions of people around the world and employed thousands of Americans. My uncle Takeru, also the son of immigrants, has a building named after him on the campus of the University of Kansas, deep in the American heartland. My uncle James served as a doctor in the Army during World War II, helping heal the wounds of soldiers while his parents remained incarcerated in Wyoming. My uncle Kiyoshi helped develop top-secret weapons while working for the Army as a chemist. They are all immigrant success stories who have blessed the country, because their parents fled an impoverished Japan to seek a better life. They found it, and their children and grandchildren have continued to make this a stronger, richer and more diverse nation. The man accused of murdering 11 innocent people at a synagogue in Pittsburgh on Oct. 27 was driven by the rabid conspiracy theory that Jews were trying to replace “real Americans” with immigrants and therefore had to be stopped. Just days after that, Trump has added to that anti-immigrant fervor with his claim about birthright citizenship. All of these moves contribute to a worsening attitude of intolerance and misunderstanding about the role of immigrants in society. As my family and the millions of other immigrant families have shown, there is no test to becoming an American and to contributing to the one nation that truly allows immigrants to come here and succeed, regardless of their race and national origin. As a nation, we owe it to ourselves not to impose such a test or have one forced on us by a politician catering to the bigots among us. Shirley Ann Higuchi, J.D., is chair of the Heart Mountain Wyoming Foundation.